Conflicts and disagreements naturally occur between parents in all family types. This publication provides information on several forms of conflict, how conflict impacts parents, and strategies to manage and reduce conflict situations. This is No. 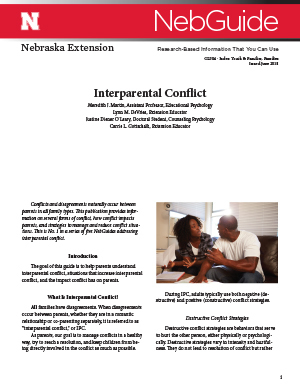 1 in a series of five NebGuides addressing interparental conflict.